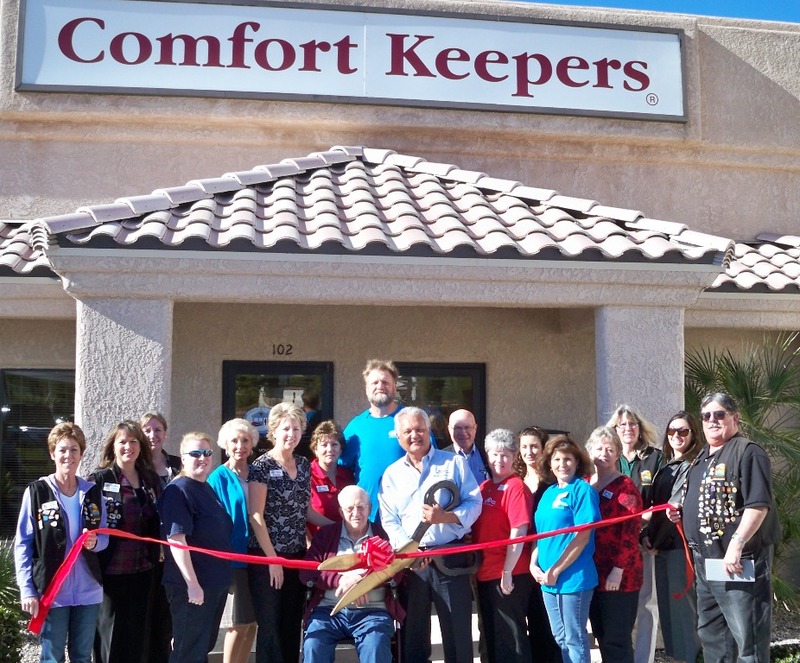 Comfort Keepers is pleased to be celebrating its fifth year of providing top-notch care to seniors throughout Mohave and La Paz counties. 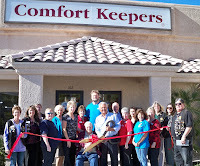 The Lake Havasu Area Chamber Ambassadors held a ribbon cutting ceremony for the anniversary. On hand for the ceremony from left to right are: Virginia Chambers, Charlene Garza, Clairdell Ross, Shelly Turre, Linda Eckhardt, client Ted Hedtke, Jeff Trepanier, Owner Chris Gamble, Kim Tetreault, Teresa Howes, Debbie Sommerstedt and Mike Schuler. Comfort Keepers offers a wide range of non-medical services, from Companionship Care such as meal preparation, errands, and light housekeeping to Personal Care services which include bathing, feeding, and toileting. Comfort Keepers also offers much needed Respite Care for family members caring for loved ones. From as little as 2 hours a week to around-the-clock care, Comfort Keepers will be there to help you when you need it. To find out more, please call Comfort Keepers today at 928-855-0005 or visit their web site at www.comfortkeepers.com/office-697.